We have long awaited for Spring to arrive, yet our welcome guest brings unwanted baggage. Sneezes. Watery Eyes. Wheezes. Mucous coughs. 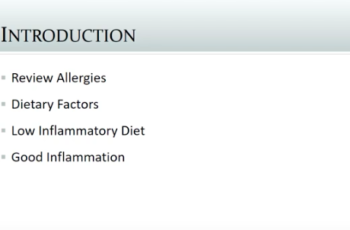 Yes, “ALLERGIES”. Are we doomed to down our anti-histamines, risking future Alzheimer’s? Not if we utilize some of God’s natural gifts in nature and a little functional MD wisdom! This series from Dr.
Sneezes. Watery Eyes. Wheezes. Mucous coughs. Yes, “ALLERGIES“. Are we doomed to down our anti-histamines, risking future Alzheimer’s? Not if we utilize some of God’s natural gifts in nature and a little functional MD wisdom! 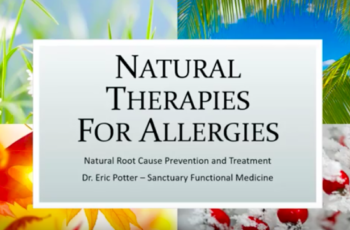 This series from Dr. Potter was produced last fall but is timeless if allergies are ruining your Spring.